TruePublica Editor: Trade deals are more often than not a series of trade negotiations that today are carried out in secret. 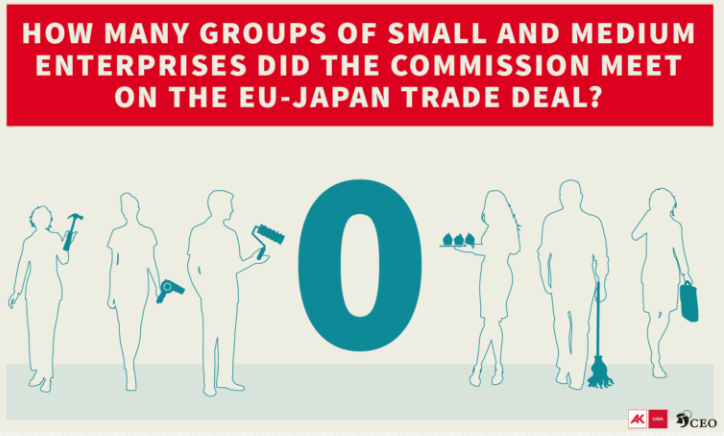 As a bilateral trade agreement, between the EU and Japan, the Free Trade Agreement or JEFTA is no different to say, TTIP – and that was about reducing the regulatory barriers to trade for big business. They cover important civil society and public interest issues like food safety law, environmental legislation, banking regulations, employment and the sovereign powers of individual nations. It is, as John Hilary, Executive Director of campaign group War on Want, said when referring to TTIP: “An assault on European and US societies by transnational corporations.” JEFTA is the same deal.